In this page normal using differentiation we are going to see the how to find equation of normal using the concept differentiation. Step 1 : Differentiate the given equation of the curve once. If we differentiate the given equation we will get slope of the curve that is slope of tangent drawn to the curve. 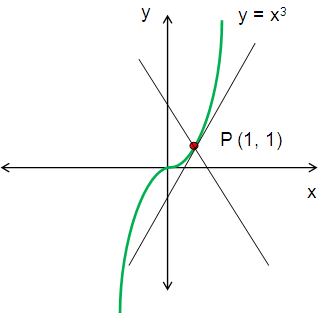 Step 2 : We have to apply the given points in the general slope to get slope of the particular tangent at the particular point. 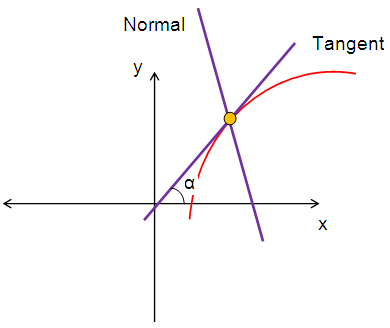 Step 3 : From slope of tangent we have to find the slope of normal (-1/m). Now we are going to see some example problems to understand this concept. Step 1 : Differentiate the equation of the curve once to find the slope of the curve that is slope of the tangent drawn to the curve.